Shark is a group of elasmobranch fish featured by cartilaginous skeleton, 5 to 6 gills slits on sides of head and pectoral fins are not fused to head. They are classified within clade Selachimorpha (or Selachii) and are sister group to rays. The word shark is used for extinct members of subclass Elasmobranchii such as Xenacanthus and Cladoselache, as well as other Chondrichthyes such as the holocephalid eugenedontidans. The earliest known sharks date back to 420 million years ago. Sharks have been diversified into more than 500 species. It ranges in size from small dwarf Etmopterus perryi (dwarf lanternshark), a deep sea species of 6.7 inches (17 centimeters) in length, to the Rhincodon typus (whale shark), a largest fish in the world reaching 40 ft (12 metres) in length. They are found in all seas and common to depths of 6,600 ft (2,000 metres). Generally, they do not live in freshwater though there are few known exceptions such as river shark and bull shark that can survive or could be found in both freshwater and seawater. It has dermal denticles which protects skin from damage or parasites including the improvement in fluid dynamics. It has various sets of replaceable teeth. The teeth are embedded in gums than affixed to jaw and are replaced constantly throughout life. The replacement of tooth varies from every 8 to 10 days to several months. 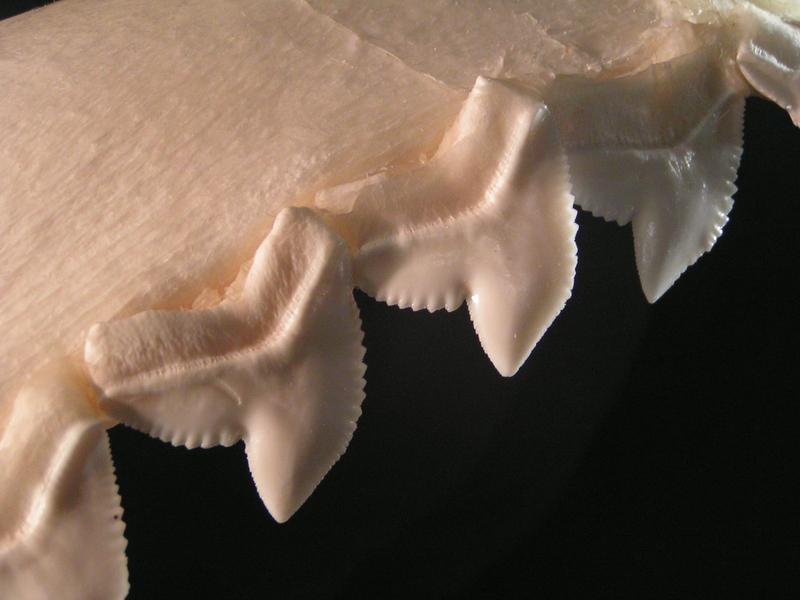 The shape of tooth depends on the diet: those feeding on crustaceans and mollusks have flattened and dense teeth used to crush and those feeding on fish has needle like teeth to grip and those who fed on larger prey such as mammals has pointed lower teeth required for gripping and triangular upper teeth having serrated edges for cutting. Basking shark which are plankton feeders have small and non-functional teeth.The species well known are tiger shark, great white shark, thresher shark, mako shark, blue shark and hammerhead shark are apex predators at top of underwater food chain. Sharks have torpedo shaped body with stiff two side fins and curved tail that helps the shark to swim. 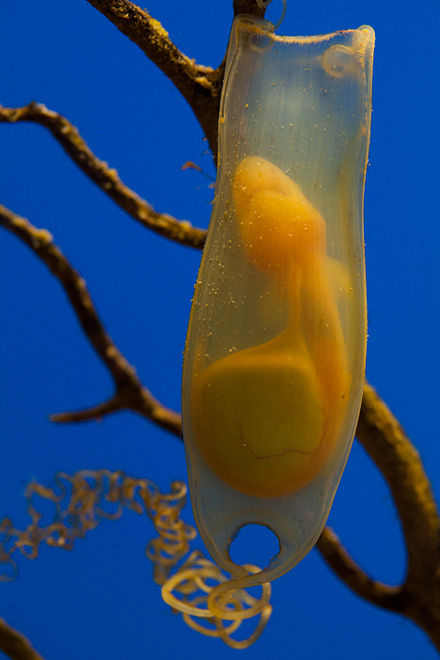 The shark’s body is covered by small scales that make the skin very rough. Most sharks have mouth at the bottom of head. It has sharp, pointed many rows of teeth. The older ones are replaced by new teeth as often as every week. Sharks have 5 to 7 gills behind eyes on each side of the head that is used to breathe underwater. They have sharp senses and could find its prey by the sound it makes. Its skeletons differ from bony fish or terrestrial vertebrates. Sharks have skeletons which are made of connective tissue and cartilage. Cartilage is durable and flexible however half the normal density of bone is. It reduces skeleton’s weight and saves energy. As the sharks do not have rib cages, they could be crushed easily under their own weight on land. Rays and skates (jaws) of sharks are not attached to cranium. The surface of jaw requires extra support because of its heavy exposure to physical stress and its requirement for strength. It has a layer of tesserae, a crystal blocks of calcium salts which is arranged as mosaic. It provides same strength to these areas like bony tissue found in other animals. 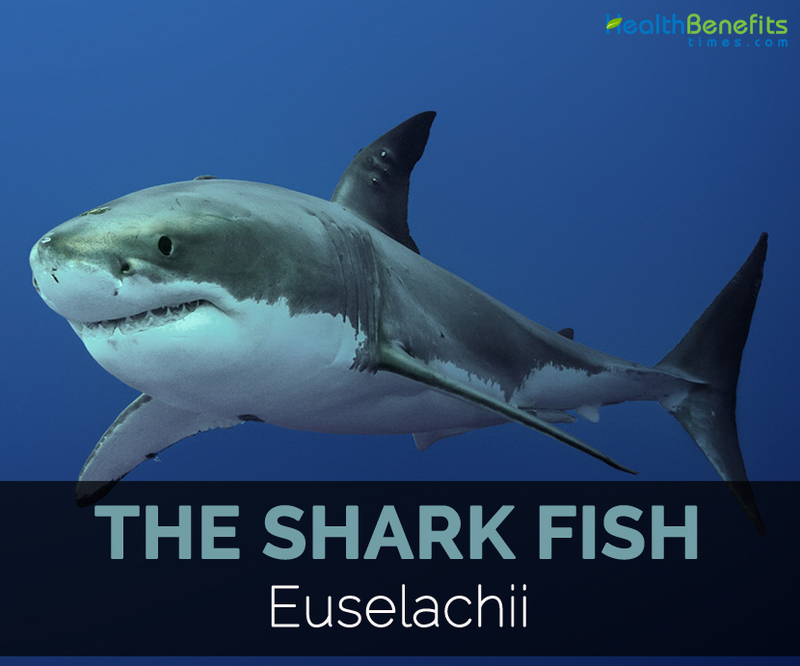 Generally, they have one layer of tesserae but bull shark, the great white shark and tiger shark has 2 to 3 layers depending on the size of the body. The jaw of large great white shark has five layers. The snout has spongy and flexible cartilage to absorb power of impacts. 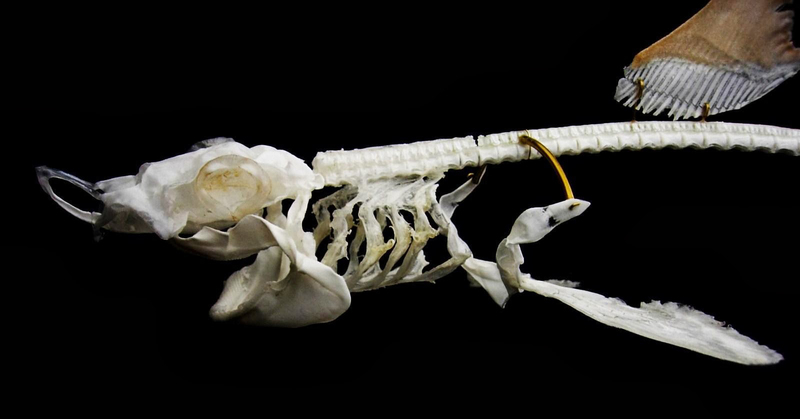 The skeleton of fins are elongated and is supported with soft or unsegmented rays called ceratotrichia, filaments of elastic protein that resembles horny keratin in hair or feathers. Mostly, sharks have eight fins. They could drift away from objects in front of them as their fins do not allow them to move in tail first direction. They have complex dermal corset which is made of flexible collagenous fibers or arraged as helical network surrounding its body. It acts as outer skeleton which provides attachment for its swimming muscles and saves energy. Its dermal teeth provide hydrodynamic advantages that lower turbulence when swimming. Tails support thrust, make speed or accelerates dependent on tail shape. The shape caudal fin considerably varies between shark species due to its evolution in separate environment. It possess heterocercal caudal fin in which dorsal portion which is usually larger than ventral portion. It is as the shark’s vertebral column extends to dorsal portion that provides greater surface area for attachment of muscles. It allows effective locomotion among negatively buoyant cartilaginous fish. Most bony fish acquire homocercal caudal fin. Tiger sharks has large upper lobe allowing for slow cruising and outbreak of speed. It must be able to twist & turn easily in water when hunting in order to support varied diet. Porbeagle shark has large lower lobe that hunts schooling fish such as herring and mackerel to assist keep pace having its fast swimming prey. 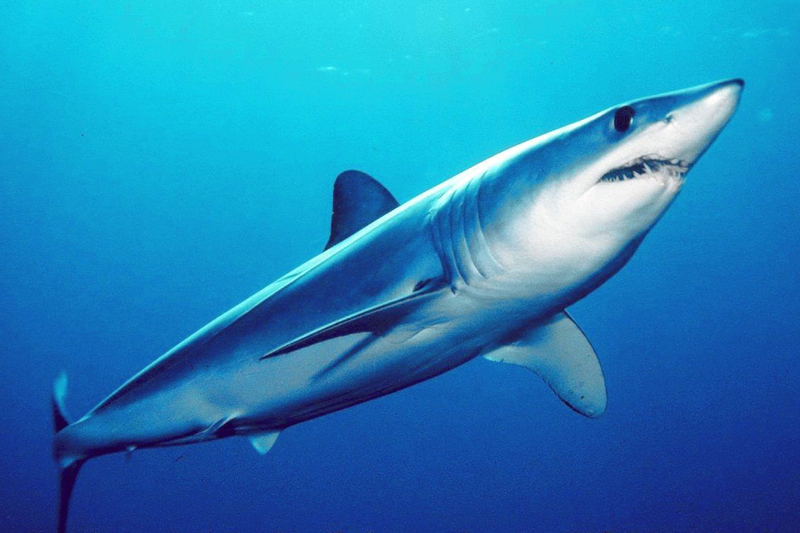 The tail adaptations assist shark to catch prey more directly such as usage of thresher shark for its powerful and elongated upper lobe amaze fish and squid. They are K-selected reproducers i.e. they produce small number of well-developed young aversed to large number of poorly develop young. Its fecundity ranges from 2 to more than 100 young per reproductive cycle. 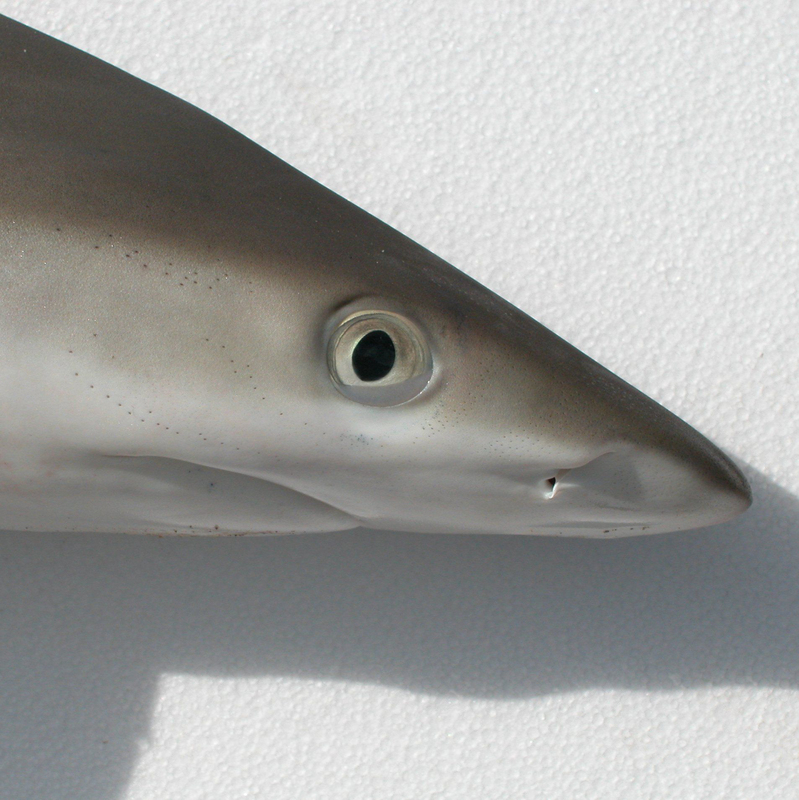 In comparison to other fish, sharks mature slowly. Sharks are carnivorous. Basking sharks, megamouth sharks and whale sharks have evolved independently different strategies for filter feeding plankton. Basking sharks forms ram feeding, whale sharks use suction to take in small fishes and plankton and megamouth sharks make suction feeding with the use of luminescent tissue inside its mouths for attracting prey in the deep ocean. This type of feeding need gill rakers—long, slender filaments which form efficient strainer—analogous to the baleen plates of great whales. 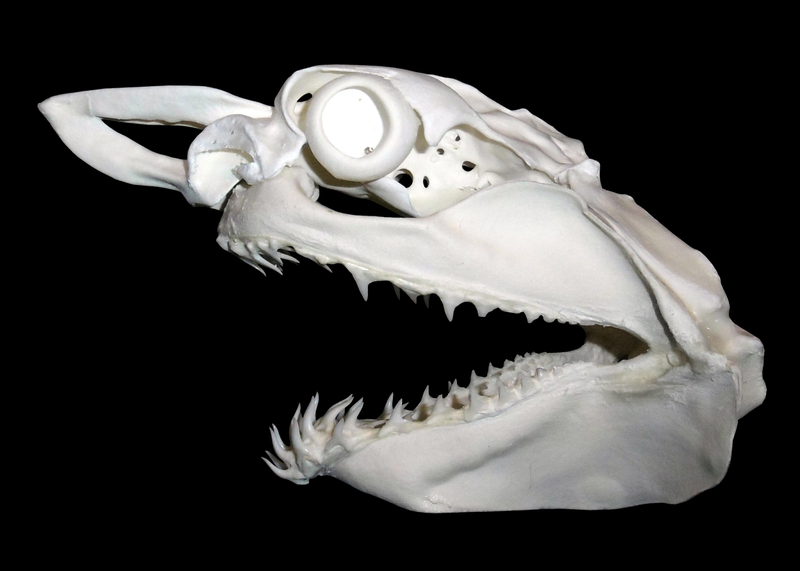 Shark catches plankton in these filaments & swallows from time to time in enormous mouthfuls. These species have small teeth because they are not required for feeding. Great white shark is not an apex predator like many other sharks. Seabed dwelling species are effective ambush predators. Wobbegongs and angel sharks use camouflage lie in wait and inhale prey into their mouths. Benthic sharks feed solely on crustaceans which are crushed with its flat molariform teeth. Sharks feed on fish or squid which are swallowed whole. 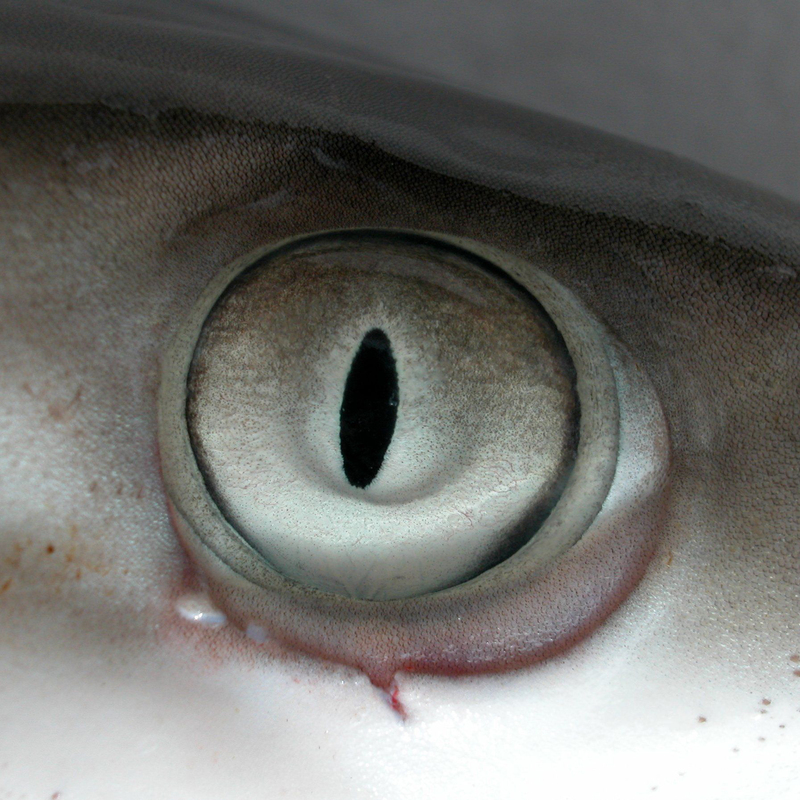 Viper dogfish could be point outwards to strike and capture prey which are then swallowed intact. Thresher sharks use its long tails to shock shoaling fishes and either stirs prey from seabed and slash at swimming prey with its tooth studded rostra. Sharks such as whitetip reef shark are cooperative feeders and hunt in packs to herd or capture elusive prey. It is often migratory and travel huge distance around ocean basins in large schools. 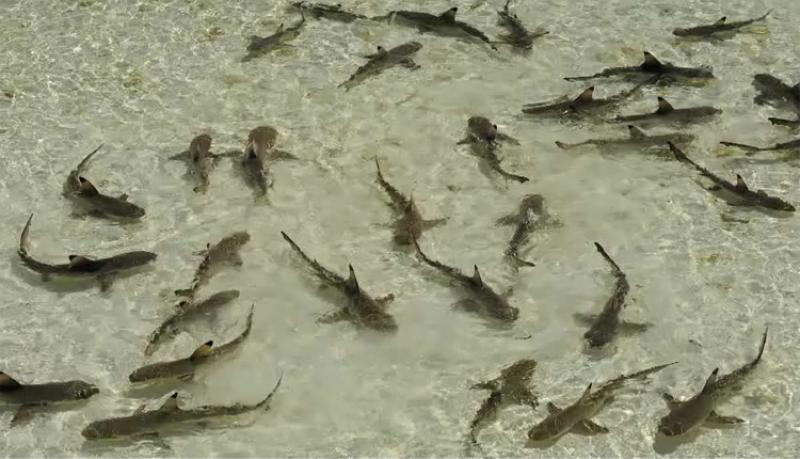 More than half of the sharks are not harmful to the people and occasionally attacks them. White shark is the most dangerous fish with sharp teeth which could rip off chunks of flesh from animals. It hunts tuna, sea lions and other sharks. Even they have attacked human beings notably when they are worried and hungry. Noises, movement and blood in the water provoke sharks and make them attack. They are found in all seas. Generally, they do not live in fresh water exceptionally bull shark and river shark that could swim both in freshwater and seawater. Commonly, they are found in depths of 2000 meters and some live even deeper but are absent below 3000 meters. 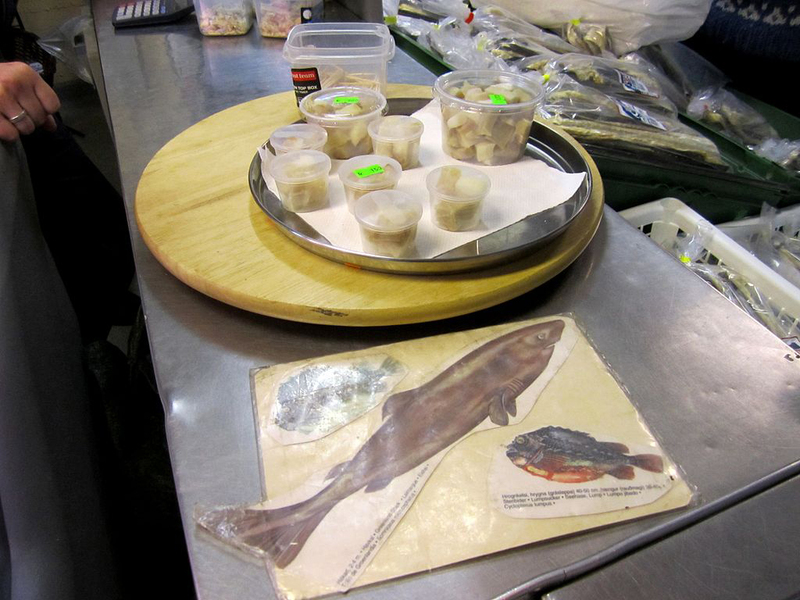 The report confirmed that Portuguese dogfish are found at deep 3700 meters (12100 ft). Its meat has strong odor of ammonia which comes from chemical known as urea. This odor is hided with the use of seasoning and preparation methods but there is no way to eliminate urea from the flesh. 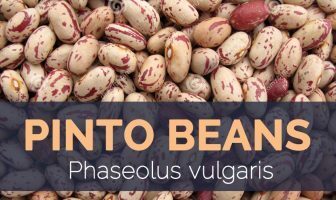 It is a natural waste byproduct from the consumption of protein which is processed through kidneys. As sharks are carnivorous, they have high content of urea. Too much presence of urea causes severe kidney damage and could also result in kidney failure. The research shows that sharks meat possess harmful levels of arsenic. Dusky, Sandbar, Whale, Great White, Hammerhead Sharks and Dwarf Pygmy had arsenic levels beyond consumption standards. It damages skin, lungs, liver and kidney or could lead to stroke, heart attacks, cancer or even death. The meat is consumed in international markets but is extremely harmful and should be avoided at any cost. Study have shown that sharks have high content of lead in meat. Different species of sharks has toxic levels of lead in their body. Larger shark has more lead in their body. Lead is harmful to humans and could cause minor ailments such as headaches and abdominal pain to severe problems such as comas, seizures and even death. 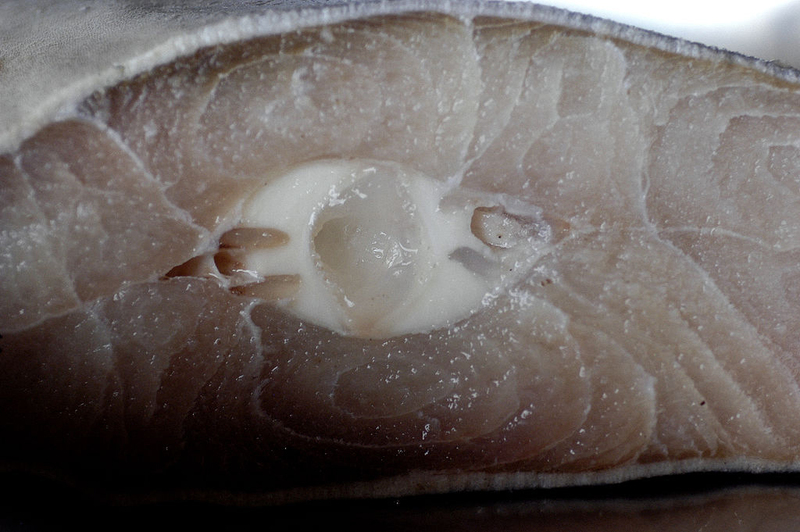 Consumption of shark meat from larger species, organ meat and older sharks causes lead poisoning. All seafood has some levels of mercury. Predatory fish such as sharks and larger fish has high content of mercury than other fish. It is the byproduct of industrial pollutants in water and is absorbed easily into the body of marine life. Sharks have second highest mercury present in the body so its consumption is very harmful. The mercury exposure causes tremors, headaches and cognitive dysfunction. The consumption of mercury is harmful for pregnant women as the development of fetal brain is very sensitive to mercury and causes long term issues with cognitive development. Due to the high level of mercury, one should not consume shark meat. Mercury could cause various health conditions such as chromosomal and neurological problems and birth defects. Fins are used to make shark fin soup. In Asia, it is eaten smoked, dried and salted. 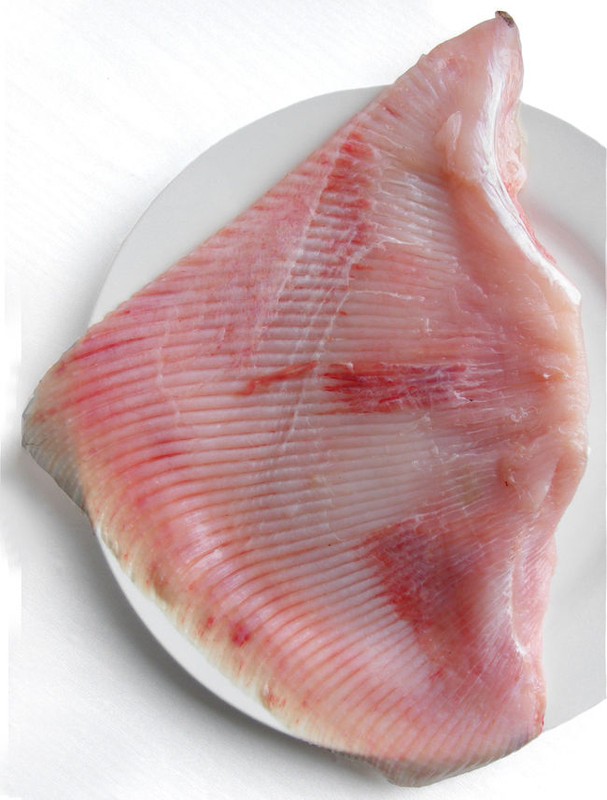 It is preserved by using salt that helps to extend shelf life. 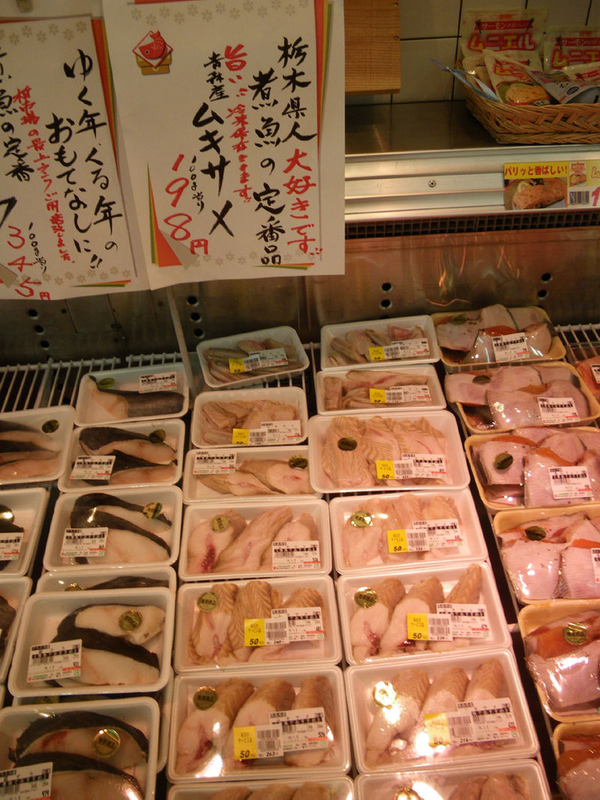 In Japan, it is consumed in the form of surimi, fish sausage, fish balls, fish paste and other products. Shark steaks could be barbequed or pan-fried. The skeleton is made of cartilage which is a strong and flexible tissue. Shark has tooth like scales known as denticles. It has six or seven gills that slits on each side. They could identify lower sounds or sounds more than 700 feet away. The types of sharks found today evolved 100 million years ago. They have four rows of food. They have 6 highly refined senses for communication and hunting: taste, vision, touch, hearing and electroreception. Having great senses, it could detect even slightest hint of blood. Ammonia odor and urea content could be lowered by marinating meat in liquids such as vinegar, lemon juice, saltwater. Calories in 3 oz (85 g) 194 Kcal. Calories 194 Kcal. Calories from Fat 105.75 Kcal. Calories 110 Kcal. Calories from Fat 34.47 Kcal.